In New Orleans, cocktails are not just a drink to sip on, but a way of life. It’s in our spirited nature to celebrate all sorts of occasions with the perfect drink pairings, and because of this, New Orleanians have created and reinvented some of the most amazing classic cocktails. This cocktail is literally named after the French Quarter and does the “Old Square” justice. It is the namesake cocktail for The Carousel Bar at the Hotel Monteleone and was created by their bartender at the time, Walter Bergeron. 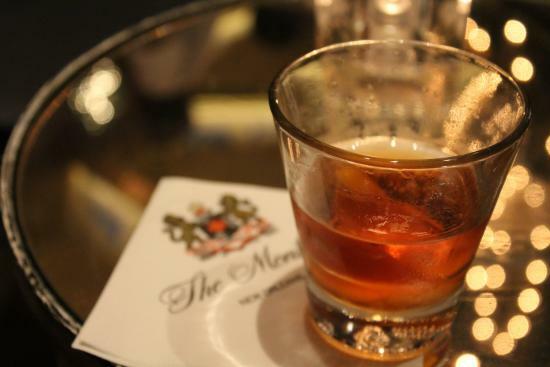 So obviously, the ideal place to get this drink is at The Carousel Bar itself, located in the Hotel Monteleone at 214 Royal Street in the French Quarter. Combine all the ingredients in a glass with ice. Stir well. Strain into another chilled glass and garnish with the cherry. The Sazerac has been considered the world’s first cocktail and is the official cocktail of New Orleans. It is a whiskey cocktail with sugar, lemon and bitters for taste. The combination is very basic, but the most important ingredient to add is Peychaud’s Bitters, which is said to be the reason the drink is famous. A perfect New Orleans spot to order the Sazerac from is The Sazerac Bar located at 123 Baronne Street. Muddle the sugar cube with the Peychaud’s Bitters in a glass, then add the whiskey to the sugar mixture. In a separate glass that has been chilled, coat the glass with the Herbsaint and discard the excess. Finally, empty the mixture into the chilled glass and garnish with the lemon peel. This is another New Orleans classic cocktail that dates back to the late 19th Century. It was created by Henry Ramos at his bar, The Imperial Cabinet Saloon, and was popularized for both its use of raw egg and governor Huey Long’s fondness for the concoction. A good bar to order one of these classic drinks is Bar Tonique located on 820 N. Rampart Street in the French Quarter. Combine all the ingredients and shake for 10 seconds without ice. Add several small ice cubes and shake hard for several minutes (supposedly the original recipe calls for shaking it for 12 minutes). Continue shaking until you can no longer here the ice cubes inside. Pour drink into a chilled glass and slowly top with soda to rise the foamy top. This is one of the most notoriously popular drinks served in New Orleans. The Hurricane originated at the Pat O’Brien’s bar. Supposedly, Pat had a surplus of less popular rum, and while waiting for a shipment of more desired alcohol like whiskey and scotch, he created this concoction to sell to sailors that quickly caught on. To enjoy the original recipe yourself, you can just pop in to Pat O’Brien’s on 718 St. Peter Street. Pour the ingredients over ice in a cocktail shaker. Shake well. Pour into a 26 oz. glass and garnish with the cherry and orange slice. 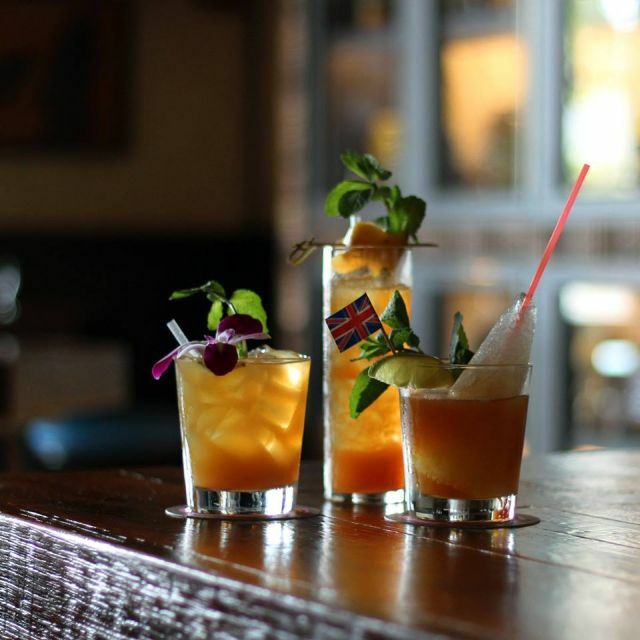 Enjoy a classic tiki cocktail like the Mai Tai, Zombie or Navy Grog at Latitude 29. While it’s not a traditional New Orleans drink, this tropical drink is a classic cocktail that has seen its renaissance at our very own Latitude 29. The Navy Grog was nearly lost to history due to its cone-shaped ice cube, but Jeff “Beachbum” Berry made it his mission to recreate the iconic cube in order to bring this drink back to life. First, make the honey mix: simply dissolve 1 part honey in 1 part of warm water. For a Navy Grog serving, you’ll need about a half-ounce of each to create 1 ounce of honey mix. Place in your shaker 3/4 ounces each of fresh lime juice, white grapefruit juice, and club soda. Next, add in 1 ounce each of the gold Demerara rum, dark Jamaican rum, and white rum. Next, add 1 ounce honey mix. Shake well with plenty of ice. Strain into glass containing the ice cone or ice cubes. Enjoy! As you can see, there’s a reason New Orleans is the birthplace of the cocktail, and these classic New Orleans drinks have stood the test of time. Now all you have to do is come here and try one for yourself. Here’s some great news: we’re offering summer rates from May – September! 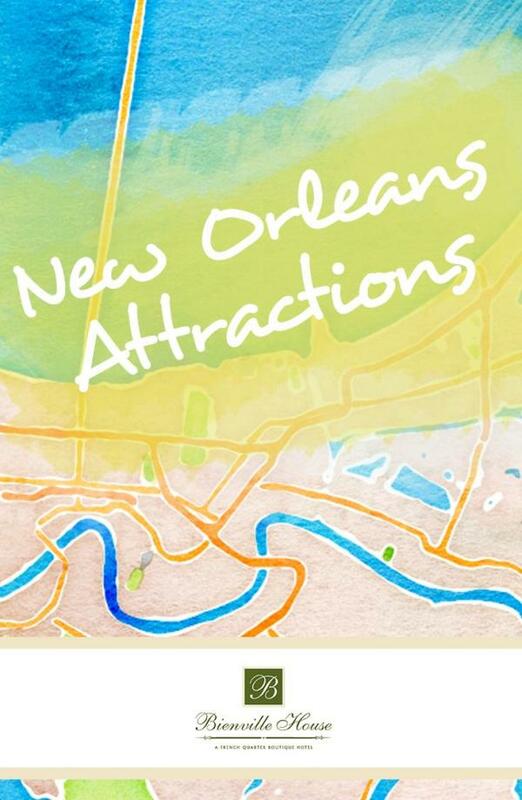 When you book a room at Bienville House, you’re at the heart of it all in New Orleans. Here’s some great news: Finish off an evening exploring the French Quarter with a nightcap at our very own Latitude 29, or enjoy relaxing in our courtyard by our salt water pool.